You are at:Home»Travel»Las Vegas for New Year’s Eve? If you’re looking for a decadent New Year’s Eve, particularly if you’re looking to rekindle the fire with your spouse or girlfriend, a wild luxury weekend in Las Vegas might be a great call. 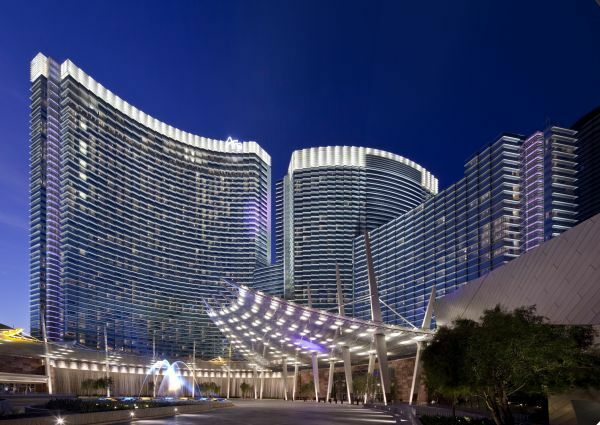 Bullz-Eye.com recently featured the Aria pictured above, one of the new luxury hot spots in town. Along with the Cosmopolitan, the Aria is one of the those spots where a couple an really get the best of everything. The building boom in Las Vegas before the economic crash has made it very tough on operators out there, but travelers have all sorts of choices now, particularly those looking for a luxury experience. New Year’s Eve is always a great time to be in Vegas, as you can party like crazy and not worry about driving. The two of you can get decked out and have an incredible night on the town with no worries.